Media Size Choose an option18" x 20"24" x 27"
The stars and stripes fly proudly in this tribute to the Captain America bike made popular in the 60’s. 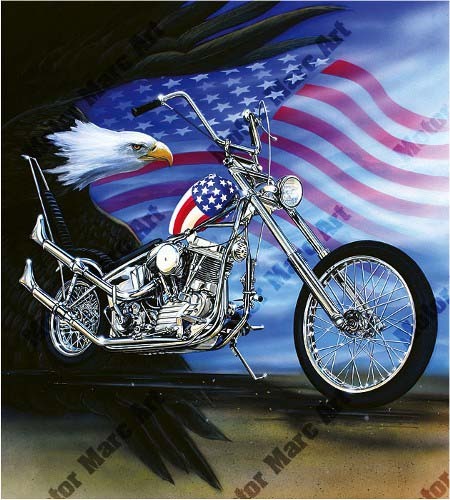 A pioneer in the early days of chopper culture, the Captain America bike symbolizes freedom and the American way. 18" x 20", 24" x 27"